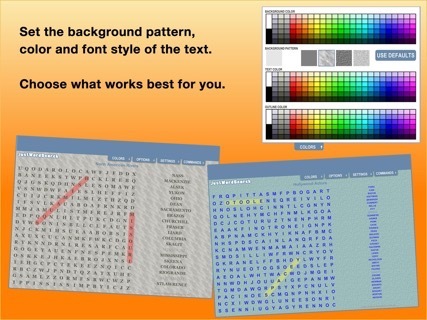 Play themed, random or custom word search puzzles. 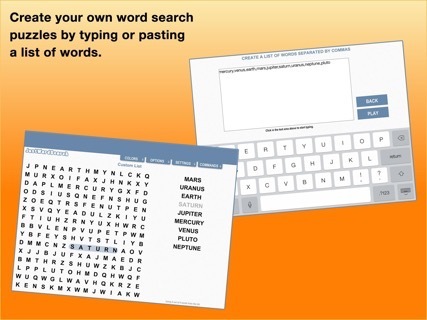 With Just Word Search you can play word search puzzles right on your iPad's screen. 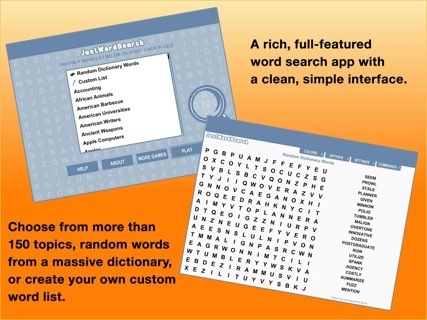 Choose from one of more than 150 word lists, use random dictionary words, or create a word list of your own. A new random puzzle will be created each time. You can adjust the size of the puzzle to make it easier or more difficult. 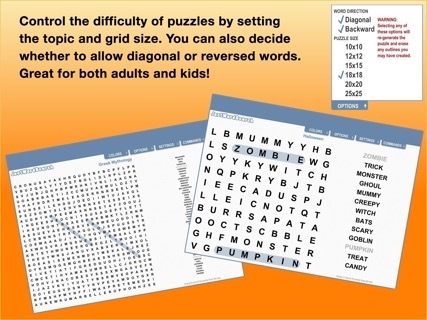 You can also control whether diagonal or backward words appear in the puzzle. Other customizations include letter, background and outline colors. You can play a puzzle to pass the time. Or build a puzzle and have a friend try to find the words.